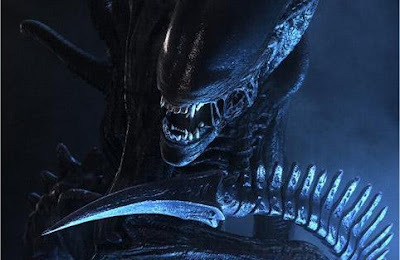 k-rated: It's Official - Ridley Scott is Directing the Alien Prequel! It's Official - Ridley Scott is Directing the Alien Prequel! Wow, I'm not sure I even believe it! Variety is reporting that Ridley Scott is officially attached to return as the director of an Alien prequel and is being written by newcomer Jon Spaihts. It looks like Scott is tired of seeing the franchise he created get pounded into the ground. I can't really blame him though. Aliens vs Predator: Requiem completely slaughtered the franchise with no hope for a revival... until now. The story is being setup to precede Scott's 1979 film, but as for what exactly will take place, those details are being kept under wraps at the moment. Even though Alien was a good movie, I still feel James Cameron's Aliens was the best installment in the franchise - but that's just me. "What do you mean they cut the power?! They're animals! How can they cut the power?!" Awe, Hutson. Gotta love 'im!